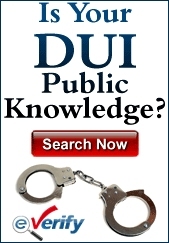 Driving while intoxicated is a traffic offense that is taken very seriously in New Jersey. Drivers need to be aware that law enforcement officers are constantly on the watch for the possibility that drivers are drunk. Because drunk driving can cause so much damage to other drivers, pedestrians and property, it is something that is not treated lightly. When a police officer investigates a possible DWI, there are certain rules that must be followed to make the investigation valid. When the stop is made, there must be a justifiable reason for making it. The officer is not allowed to stop a vehicle just because he or she feels like it. If a witness informs police that a DWI might be occurring or of the officer sees the vehicle making dangerous maneuvers or breaking traffic laws, then the stop can be made and the investigation can commence. The officer will examine the driver when asking for the driver’s license and registration. If there is evidence of being drunk such as slurred words or glassy eyes, the officer will continue the investigation by asking the driver to partake in field sobriety tests and a breathalyzer. In the event that the driver fails the breathalyzer by registering a blood alcohol content of 0.08% or above, there will be an arrest for DWI. If the driver is under 21, the BAC level to warrant an arrest is 0.01%. If it is a commercial driver, the level is 0.04%. When a driver receives a New Jersey driver’s license, there is an agreement for implied consent. What this means is that when an officer asks the driver to submit to a breath test, it is illegal for the driver to refuse to take the test. Drivers are often under the mistaken impression that it is within their rights to refuse to take the test. In general, this might be because they believe it might incriminate them and they can simply not take it. This is a mistake. A refusal carries with it penalties that the driver will face even if no alcohol has been consumed or if the driver didn’t have a BAC of 0.08% or above. If the driver is drunk and compounds that by refusing the take the test, there are two problems instead of one. The refusal to agree to take a breath test when asked to do so by a police officer will carry with it the same penalties as if the driver took the test and registered 0.15% or above. This makes the penalties for breath test refusal much more harsh than if a driver took the test and registered between 0.08% and less that 0.10%. Those penalties include a driver’s license suspension, surcharges, fines and other payments, but they’re not as onerous as they are if the driver registers 0.10% or above. If a driver refuses to take a breath test, they will face the following penalties for a first offense: The driver’s license will be suspended for seven months to one year. There will be a fine of between $300 and $500. $230 will be paid to the Intoxicated Driver Resource Center (IDRC). $100 each will go to the drunk driving fund and the Alcohol Education and Rehabilitation Fund. There will be $75 to the Neighborhood Services Fund. A surcharge of $1,000 per year will be paid for three years. The driver will have to spend at least 12 hours at the IDRC. If this occurs in a school zone, the fines will be doubled and the license suspension will be for one to two years. For a second offense of breath test refusal, the driver’s license is lost for two years. The fine is for $500 to $1,000. The other financial penalties stay the same. Breath test refusal in a school zone, the suspension and fines are doubled. For a third offense, the driver’s license is suspended for ten years. There is a $1,000 fine. The annual surcharge is raised to $1,500 per year for three years. All other fines stay the same. In a school zone, the suspension and fine is doubled. 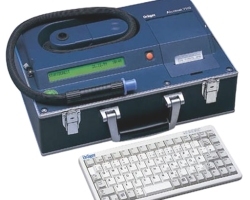 When a police officer requests that a driver take a breathalyzer test, there is a protocol that must be followed. In order to prove refusal, the driver must have been driving on a public road. The driver must have been driving in a way that made the officer believe a DWI was taking place. When the officer makes the request to take a breath test, if the driver refuses, that is enough to charge refusal. The officer is required to read a statement to the driver informing him or her that it is required that the breath test be taken under New Jersey state law and if they refuse, there will be a refusal charge. This statement must be read word-for-word. The driver has the chance to respond when the officer completes the statement. If any answer other than “yes” is given, the officer will read another paragraph from the statement. If the driver simply says “no,” there will be a charge of refusal and an arrest. The driver who thinks that it is of some benefit to refuse to take the breath test and that there will somehow be reasonable doubt that the were committing a DWI needs to understand that they will be taken to the hospital to have blood drawn to determine the BAC and the DWI arrest must also be completed. Refusal won’t do them any good since the refusal penalties are designed to make it not worth it to refuse.